Opening for the 2016 Season! We are pleased to announce that we will be opening for the 2016 season on Wednesday, June 15th, 1-4 PM, and will open every Wednesday afternoon thereafter until fall. Stay tuned for this season’s schedule of events and please do plan on visiting our friendly docents and significant collections. Would you like to become a member? A membership form is available for download here or you may sign up in person this summer. Should you require assistance outside of normal operating hours, please send us a message! 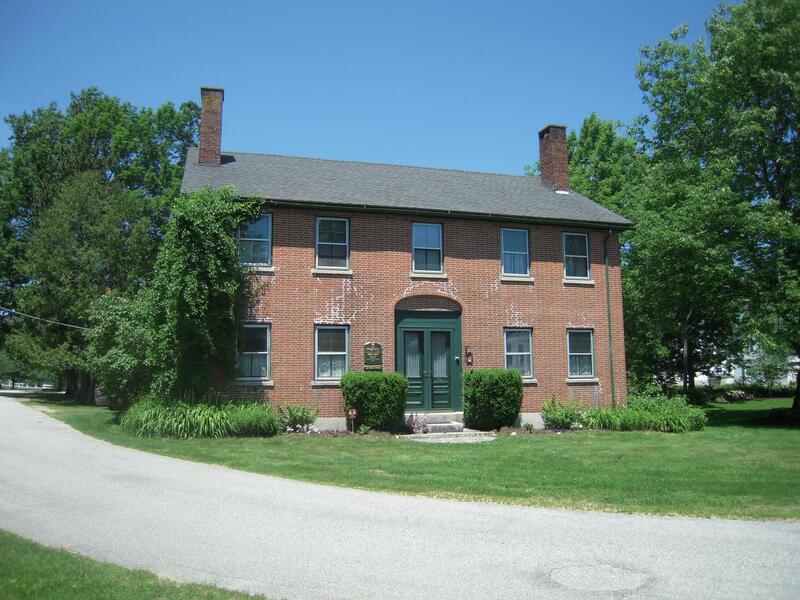 The Registry was built in 1826, and served as offices for the Recorder of Deeds and Register of Wills, handling the overflow from the Courthouse offices during the period (1806-1894) when the Oxford County seat was located on Paris Hill. Its name, the “Registry”, was given to the building in the 1950s. Before that it was known as the Oxford County Office Building. The Registry is built in an austere Federal Style, with its entrance set in a semi-elliptical blind arch. The building originally consisted of two front rooms, upstairs and down. Large signs hung on the outside of the front of the building designating the offices inside. On the left of the front door was the Register of Probate, on the right the Clerk of Courts. Upstairs, the County Treasurer was on the left and the Register of Deeds on the right. The building was of solid brick construction – both interior and exterior walls – with a slate roof and metal doors, making it fireproof for its period. Later, the small back rooms were added, two upstairs and two down, all used as storage for town records. Early photographs seem to show that the brick may have been painted a cream color. There was a streetlight in front of the building and a board sidewalk leading in an eastward direction. In the early 20th century the street was shaded by huge elm trees which were all destroyed in the early 1950s by the Dutch Elm disease. The original slate roof had to be replaced in 1999. After the County seat moved to South Paris in 1894, because of the advent of the railroad in the valley, the property reverted to the Cummings family, who sold it to Fred Case. A French family named Leonard lived in it at one time. Around the turn of the century, the building was used as a mine office, for the molybdenum mine on Crocker Hill, the Lewis Brown mine. 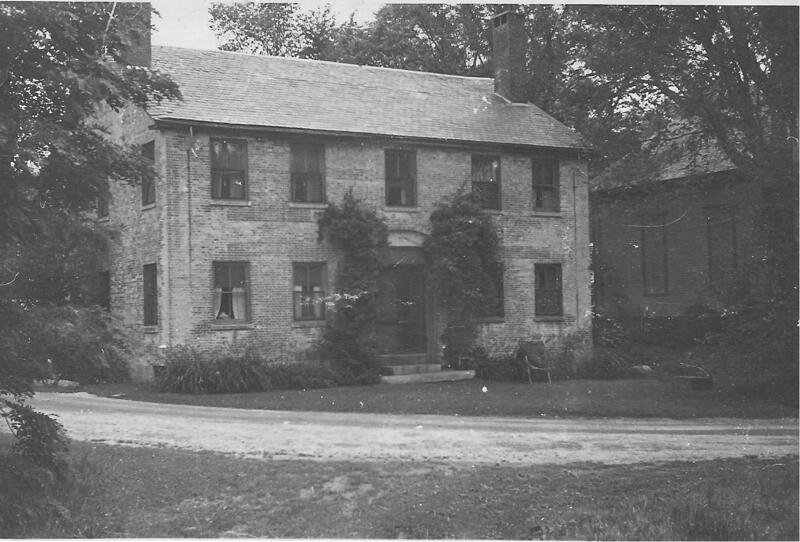 The building was purchased about 1920 by Frances Hammond as a wedding gift for Major and Mrs. Leigh F. J. Zerbee. Mrs. Zerbee, the former Frances Hammond Brinckle, was the granddaughter of Dr. Thomas Huntington Brown of Paris Hill. The Zerbees made minor changes to turn the Registry into a summer home. 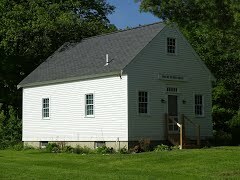 The property immediately to the east of the house was the location of the First Universalist Church, which had been built in 1859. The lot had been purchased from Capt. F. Bemis for $400. For more than 50 years after it was built the church served a large congregation of Universalists. But the group dwindled, and as it did, services became less frequent. Rev. J. H. Little was the last year-round pastor. He served from 1902 – 1905. From 1905 until 1951 only a few summer services were held there. During the last few years only one service was held each summer. The church was damaged by a fire on April 11,1952 which burned the store on the adjacent lot. 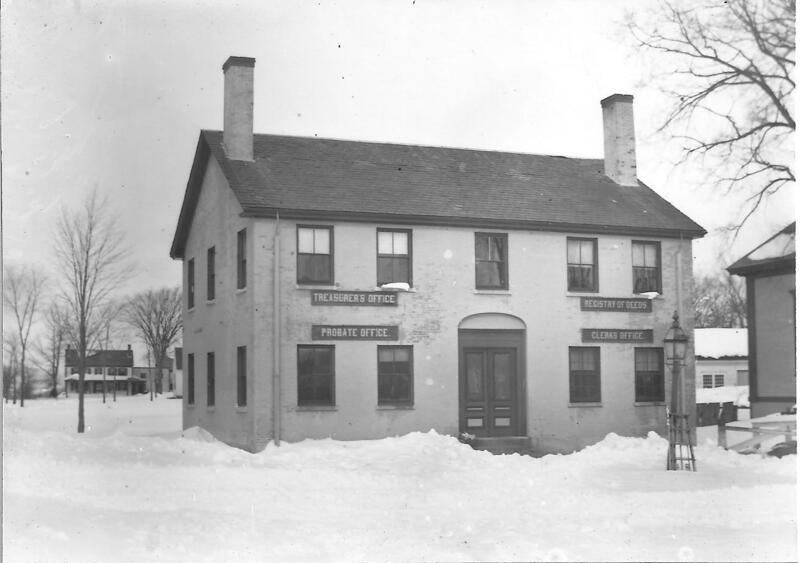 Miss Gertrude Brinckle, who owned the old Courthouse across the street, feared that it would become an antique store, and bought the property for $600. She had the church dismantled for another $400, giving the land to her nieces, to whom the Registry belonged at that time. 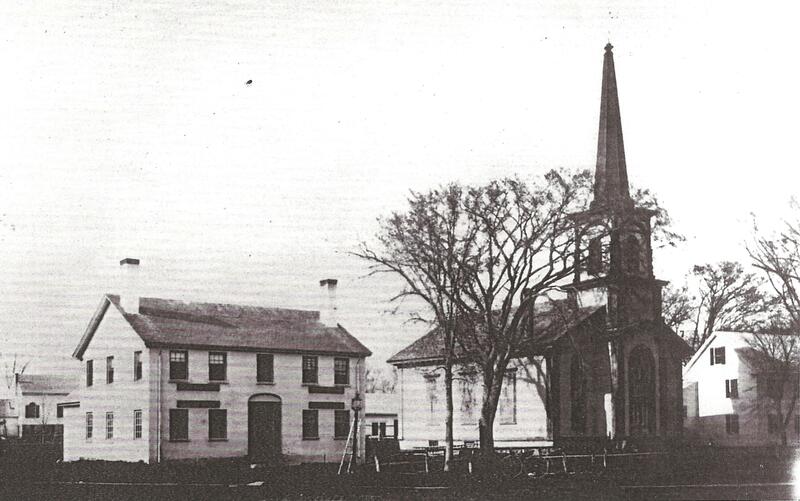 Materials from the dismantled church were used to build the Gardiner Seventh Day Adventist Church in Farmingdale, Maine, which still stands today. The Registry has been owned by members of the same family since 1920. The current owner is the great great granddaughter of Dr. Thomas Huntington Brown of Paris Hill. This wonderful history and accompanying photos were submitted by Paris Hill resident and PHHS trustee Julie DeMont.